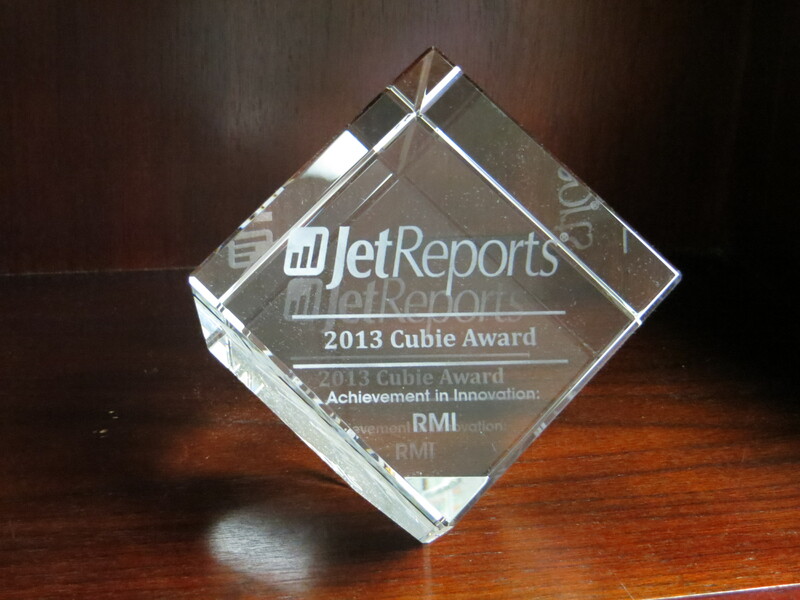 RMI Corporation, creator of ADVANTAGE Software for the rental, sales, and service industries was honored to receive the first ever Achievement in Innovation Cubie Award from Jet Reports during the annual conference for Dynamics NAV partners in Nashville, TN. Jet Reports created this award to recognize innovative industry solutions that empower customers to succeed with their business every day. “RMI embraced the cloud platform early and made Jet an integral part of their Rental Management solution, by delivering it to every customer with a set of pre-built reports for the specific needs of this industry vertical. RMI has been recognized by Microsoft, and other Dynamics partners alike, for their unique and pioneering approach to delivering a complete cloud solution all inclusive of support and services.” Says Tara Grant, Director US Channel Development, Jet Reports. Jet Reports is an intuitive Excel based reporting tool that directly links to the data within RMI’s ADVANTAGE Solution. In addition to regularly released reports, RMI’s Client Services Team helps clients build out custom reports as part of their normal inclusive service. ← Did you know you can schedule certain tasks to run at specific times in ADVANTAGE ?